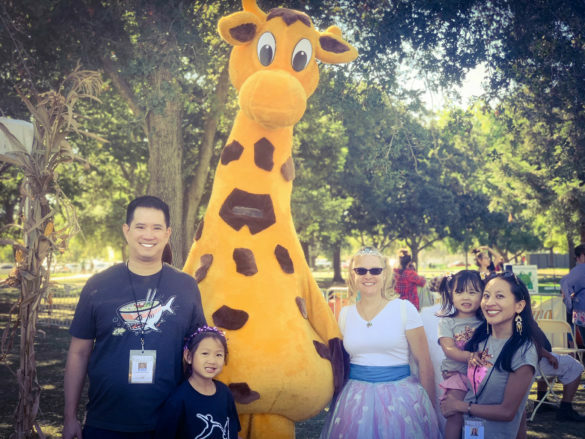 We went to the annual Elk Grove Giant Pumpkin Festival last weekend and had a great time. For those of you that haven’t been before, it’s one of the biggest events of the year in Elk Grove. 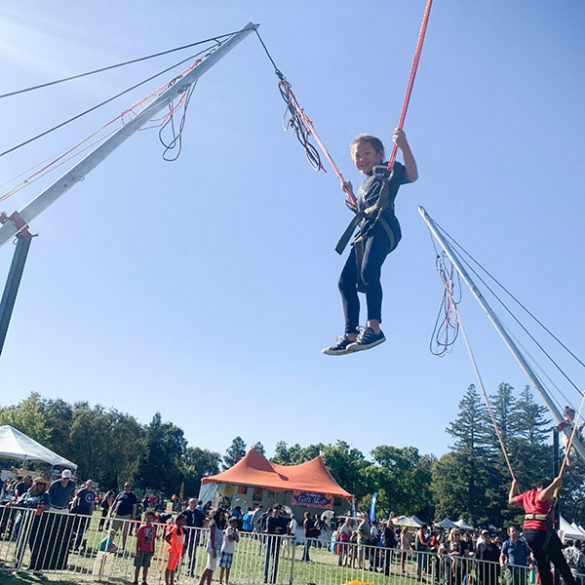 They have a pumpkin pie eating contest (won by Joey Chestnut the hot dog champ in 2016), a Pumpkin Regatta where people race in giant hallowed out pumpkins, vendors, booths, food trucks, and carnival rides and games galore. 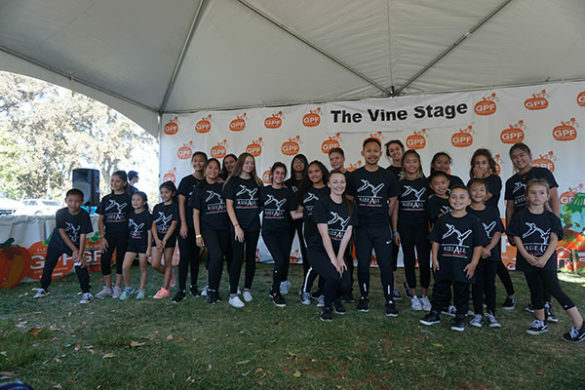 Roxy is on the minis competitive hip hop dance team at Rize All and danced at the Elk Grove Pumpkin Festival. The kids did so well at the festival. Roxy danced to a number called Despicable Me. We’ve been so proud of her because she has been so dedicated to dance. My daughter takes 3 dance lessons a week, yes 3! She takes intro to hip hop, competitive dance team hip hop, and ballet. The vendors and food were pretty good this year. I noticed more food trucks than last year. Thankfully, this meant that the food lines were short. 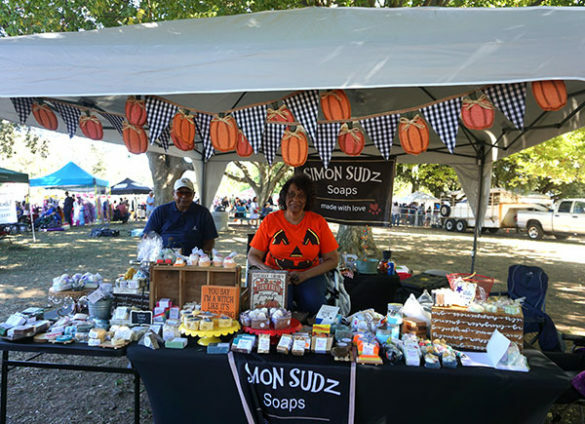 My favorite vendor was this soap company called Simon Sudz where I purchased a really awesome watermelon soap I love. I asked Roxy if she wanted to ride the ponies. Her response? “Nope, I want to go bungee jumping and on the zipline!” I responded, “Okie dokie.” I have a little daredevil on my hands. She wasn’t scared at all. I think Kenny and I were more apprehensive than she was. 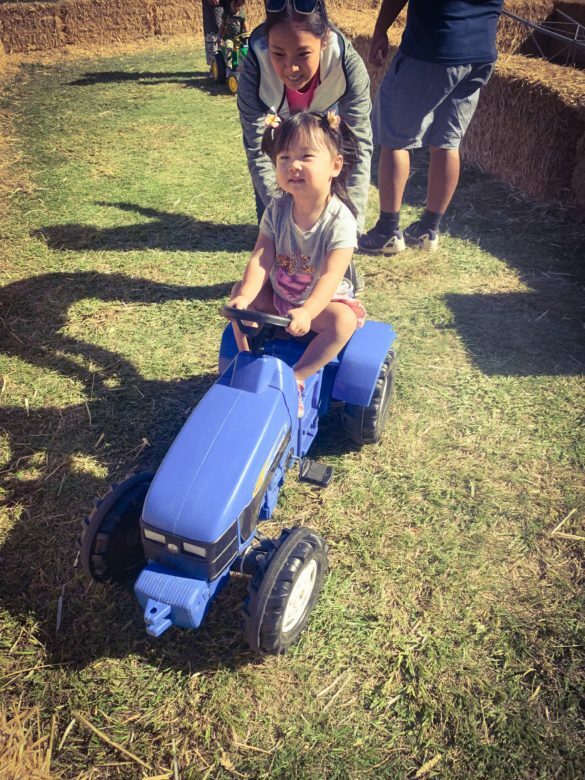 Overall, we had a great time at the Elk Grove Giant Pumpkin Festival. Carissa was old enough to enjoy some of the festivities this year. There was more food, more vendors, and the weather wasn’t too hot. The Elk Grove Giant Pumpkin Festival is one of the biggest events of the year in Elk Grove and I highly recommend it. JAX APPROVED!